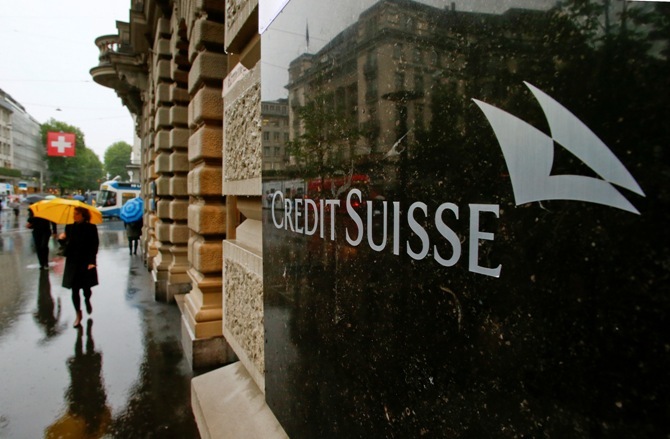 Swiss financial services company Credit Suisse is betting on industrial stocks for 2019, though the sector has underperformed the market in the past three years, despite posting good earnings growth, said the brokerage. The fortunes of industrial stocks hinge on construction and manufacturing. 'Industrial stocks have underperformed the market by 48% this decade. Over the past three years, they have continued to underperform despite good earnings growth,' says Credit Suisse. 'Given that this is still an early stage of the investment cycle, and current levels of investment should be sustainable for a longer period, relative valuation multiples should expand as the market gains confidence in the sustenance of the recovery in gross fixed capital formation,' Credit Suisse adds. Besides industrial, the brokerage is overweight on metals, energy and private banks, but underweight on the consumer goods and NBFC space. 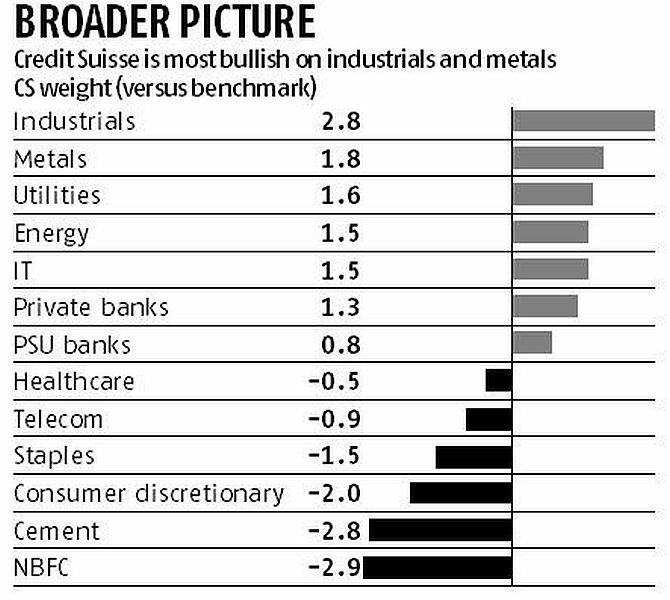 L&T, BHEL, SBI and ICICI Bank are Credit Suisse's top picks currently. UltraTech Cement and Hindustan Unilever are its least preferred stocks. "Within the Indian market, our preference remains for the less-expensive industrial stocks, which are showing good earnings momentum. We fear that the consumption-focused stocks are too expensive, and there is a risk of earnings cuts," said Neelkanth Mishra, India Equity Strategist at Credit Suisse. At a broader level, the brokerage expects the Indian markets to witness headwinds on account of weak global growth, and tighter monetary conditions. 'Monetary conditions are expected to tighten. Only significant market volatility may change the trajectory. We don't expect much outflow, but meaningful inflows are unlikely,' it said. Credit Suisse doesn't see much of an impact of foreign institutional investor flows on the domestic market. FIIs now account for less than a third of the trading volumes, down from half three year ago, the brokerage pointed out. 'This is partly because, over the past three years, there has barely been any FII equity buying. It stays close to less than one per cent of market cap,' says Credit Suisse. 'Nevertheless, tighter monetary conditions will lead to de-rating of global stocks. India's price-to-earnings (P/E) multiple is higher than the global P/E, which if comes off Indian markets too, could be de-rated,' adds Credit Suisse. Wanting to buy a house? It's a good time!